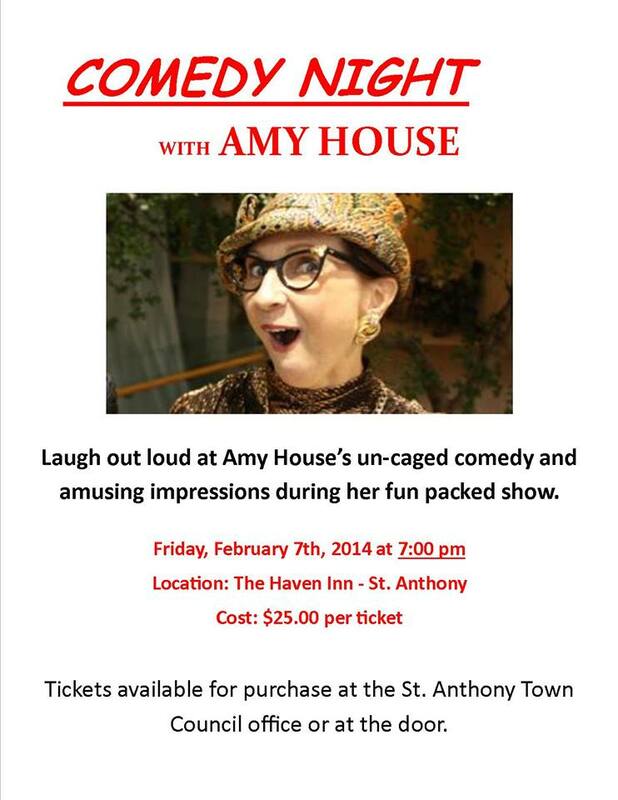 The Town will be hosting Comedy Night with Amy House on Friday, February 7th, 7pm at the Haven Inn. Tickets are $25 each and available at the St. Anthony Town office or at the door on Comedy Night. Seating is limited. Posted on January 16, 2014, in Community Economic Development. Bookmark the permalink. Leave a comment.